A number that has been entered in the phone book can be dialed in one of two ways. You can either use the voice recognition to place the call by saying the person's name, or you can scroll to the entry in the contact list and press yes. Voice dialing is speaker-independent and reliable so long as you don't have two names in your phone book that sound similar. I have both a Niall and a Nigel in my contact list, and I could rarely get the system to call Nigel. The voice dialing system does ask you to confirm the contact name, but if you say no, it simply hangs up on you instead of asking you to try again. 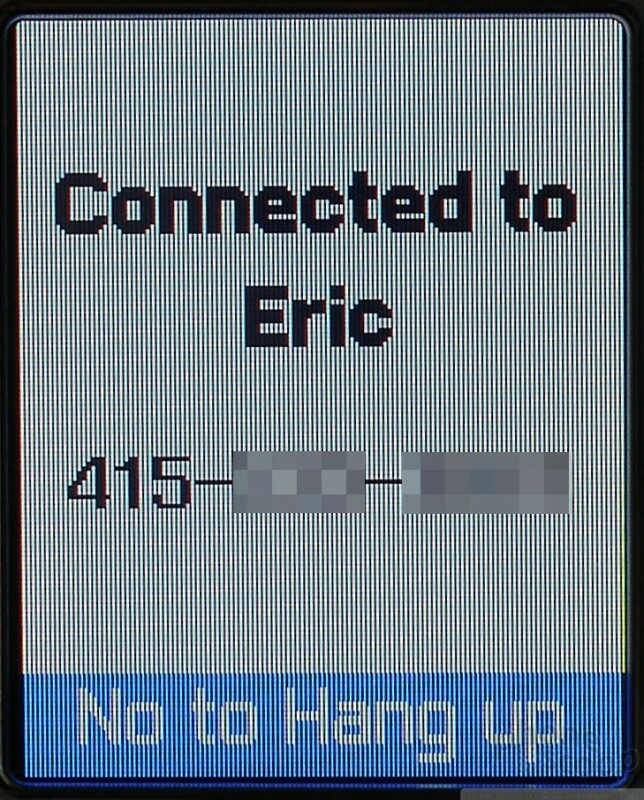 Using the one touch handset provides the third option of pressing the operator button and asking the operator to call one of your contacts. You can also ask the operator (who is a live native English speaker) to help you make a call by either giving him the phone number or a name to look up in the phone directory. Users of the Dial version can, of course, enter any domestic number and call it themselves. There is no call waiting, three way calling or any other advanced features. 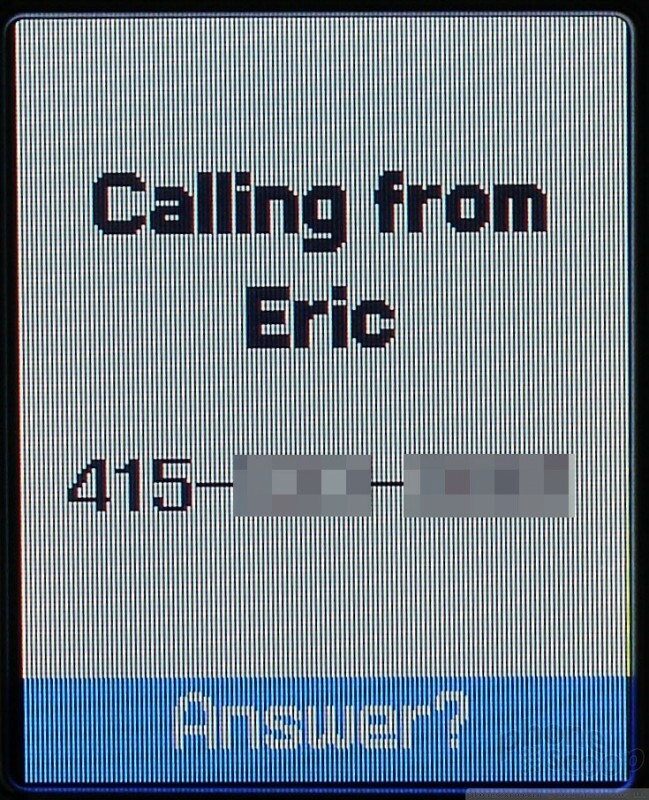 In fact the only in-call feature is the speakerphone, which is accessible through the volume keys. Any calls that come in while you are already talking on the Jitterbug are sent straight to voice mail. There is a call history screen which displays both incoming and outgoing calls in chronological order. Calls made through the operator are simply listed as operator, not as the actual number you had dialed.